Where to take a FI course? Go to Andrewsfield . Peter runs a great cafe. Bob Gardener a great course and Carole Cooper a great test. I should have been clearer. For now the instructing would be a fill in between the day job. I wouldn't expect to actually live off it on that basis but I don't want it to be an expense. I need to sit down and work out the number of hours that would see me break even. It might also be a useful thing to have in my back pocket when I eventually retired. Instructing was my forst job in aviation, might be nice to finish off that way too. It seems a strange phenomena that Microlight instructors seem to be paid significantly more than fixed wing PPL instructors. I'm told this is done to two factors. (1) unlike the FI, microlight instructing is not a route to building hours for the ATPL - so the wannabe airline pilots won't do it. (2) the lower cost of operating a microlight means that the "market" price for lessons, has more fat, which allows for instructors to be paid more - before the total cost reaches the point where customers won't pay. At those rates of pay I’m even less likely to break even on the investment in the rating. If I’m going to pay to fly I might as well carry on as I am and retain the luxury of when and where I do it! Blimey. What happened to the instructor shortage we kept hearing about? Very strongly recommend Graham Graham Turner at Goodwood Flying School. I have no skin in the game aside from the fact that my company delivers the Spin flight for their FI course. GT is a top Instructor and a wonderful chap - there can be few better individuals to learn from. I have huge respect for him and he is frequently my first port of call if I have any FI related questions. Flintstone wrote: Blimey. What happened to the instructor shortage we kept hearing about? Flintstone, but nobody wants to learn to fly pterodactyls these days, everybody's moved on to modern, fangled flying machines like Tigermoths and 152s. You just haven't moved with the times . You are still dangerous! You can be my wingman anytime. TLRippon wrote: I did a bit of research on this last year and financially Leicester made the most sense. They run to about £6.5k if you join the club. Can you do it in your own aeroplane? Maybe by adding it to their approvals or something? How would something like a Jodel fare these days as I understand rules have changed in this direction lately? Out of interest , do you become an AFI ( like the olden days) until you have removed the IR(r) teaching restriction bit , and I think so many hours instructing - and then you upgrade to a (Q)FI. Or do you automatically become a (Q)FI ? Part of airmanship is maintaining one’s own wax and feathers. That will never go out of fashion, never! Paul, I dunno. Might save a few bob that way. plus7g wrote: Out of interest , do you become an AFI ( like the olden days) until you have removed the IR(r) teaching restriction bit , and I think so many hours instructing - and then you upgrade to a (Q)FI. Or do you automatically become a (Q)FI ? Out of the box you would be restricted with an FI(R) and will need to be supervised by an FI at an ATO. To remove the restriction you will need to have logged at least 100 hours of instruction and 25 solo student flights. Whilst restricted you cannot send students on their first solo nor their first solo cross country exercise. There is no upgrade course like there was in the old AFI -> QFI days, just a few forms and a fee payable to the CAA. The old no-applied instrument instruction is now the FI(IRI) or IRI course which is specific to be able to teach for the IR and/or IR(R). You require (among others) 200 hours IFR if an FI or 800 hours IFR if not an FI. If you don't meet the experience requirements the course is still accessible but you'll be limited to teaching for the IMC/IR(R) only. Following this thread as I'll be in the market for an FI rating one day, first set of CPL exams next month! I'm not so sure. I worked it out and frankly Leicester has some of the most competitive rental rates. I can rent from them much cheaper than it costs me to run my aircraft all in for an hour. You still have to maintain it and amortise the fixed costs. It seems to me that it is better to get experience of teaching in the aircraft on which you are most likely to be instructing. In most cases that will be on a variety of trainers. Perhaps for a CRI then a particular speciality would be more appropriate. cotterpot wrote: If you give us an idea about the area you would consider/travel to, we won't waste your time with irrelevant ones. Sorry, yes. I should have said. Anywhere in the UK really. I would probably take it on as a full time course so no need to be near home. 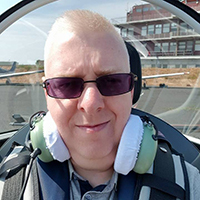 I believe they conduct quite a number of different courses at High Wycombe airfield from PPL to CPL including Instructor courses, I have no personnel experience of being on a course there but have heard from a few that have, might be worth a couple of phone calls. Flintstone wrote: I wouldn’t mind getting back in to instructing but I’m not convinced that it would pay its own way, let alone make me any money. In the past I’ve not done so because I didn’t feel comfortable taking hours from those instructors who needed them. Now there’s apparently a shortage but it has the risk of me running at a loss. Yeah, I kind of lived that dream 25 years ago when I was an instructor in Australia. It's the only rating I didn't convert when I came back, I had no plans to teach again then. I just thought it would be fun and one of the reasons I've not done it before was so as not to take hours from thise working their way up. I keep hearing how there's an instructor shortage now and how schools are in need. Ah well, I'll just have to do the decorating between work trips instead. I'm not sure as to whether the route has been fully explored yet to convert a foreign FI to a UK (or EASA) one. I've been trying to prod people to trying to looking into the small print (I'm not that good at this lawyer stuff) to see if it's at all possible, particularly when it comes to Michael P's case. Nice idea Paul. Back then, pre-JAA, the CAA wanted me to complete hours and training (aircraft and classroom) as required to meet the standard. Since then I believe it's a start from scratch with no credits for my previous instructing experience or last fifteen years as a line training captain*. Maybe I'll get to skip the Core Course, if FI's need that. It's no big deal, might have been a bit useful is all. * Yes, I know it's not the same as PPL/CPL instruction but some instructing principles remain the same.